More than a dozen elderly Christians from a single village have been subjected to tight surveillance by the authorities, which consequently leaves them isolated from their church, making it difficult for them to maintain their spiritual lives. The village, located in the southeastern Fuzhou city, in Jiangxi Province, is mostly full of the older populations. 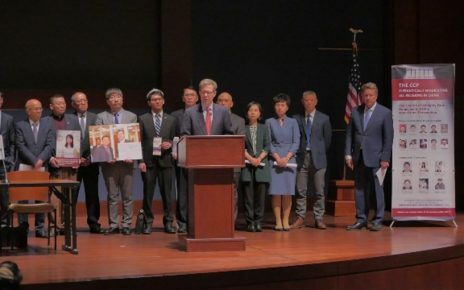 Among them are more than a dozen Christians with The Church of Almighty God (CAG), one of the Chinese government’s favorite religious targets. According to her, in July 2015, a CAG member from outside the village came to the village to help the elderly believers, but after being reported, she was arrested and detained for seven days. Henceforth, the old folks were under government surveillance, which sent mobilized fellow villagers to be on the watch. These villagers, who are now beholden to the Chinese Communist Party (CCP), have rules: If strangers enter the village, they’re supposed to question and monitor them. If they’re identified as people who hold religious beliefs, those people must be reported to the authorities immediately, whereupon officials will set up a schedule to intermittently search their homes, threaten their livelihoods and that of their families if they continue to practice their religion – your standard Chinese Communist fare. Because of the authorities’ strict surveillance of these elderly Christian villagers, they’ve lost contact with the CAG. In lieu of the church, the believers try to shirk the monitors to meet in secret, frequently changing their meeting venues. They’ve held gatherings on mountaintops, in the countryside or at other unfixed places. But still, there is no peace for them. Although entering the village means facing the danger of being reported and arrested at any time, Yang Hui and some other Church members still decided to visit and support these believers in October 2018. As Yang Hui told Bitter Winter, there are two roads for entering the village – one is the highway, but the villages along the route are dense; the other is a remote mountain road, which is very steep with precipices on either side, making it extremely dangerous. To avoid being arrested, she decided to traverse the remote mountain road and enter the village in the evening. 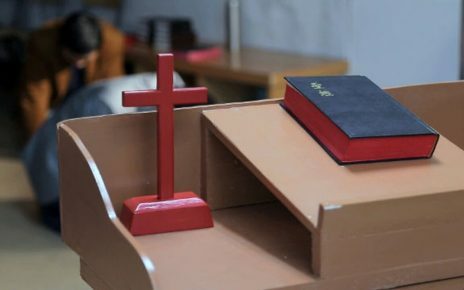 “If it weren’t for being hunted and persecuted by the CCP, we wouldn’t need to take the dangerous mountain road, nor would we need to sneak into the village at night in pitch-black conditions,” Yang Hui said, recalling that one evening last October, she and a church worker struggled to walk across that steep, curved mountain road into the village. The elderly believers were especially happy to see Yang Hui and the others. “I kept hoping that you could come to the gatherings, but I was worried that the CCP would arrest all of you!” one octogenarian Christian said. That evening, their gathering continued until late at night – the seniors were unwilling to leave. But to avoid detection, Yang Hui and the others had to leave the village before dawn. And yet, they were still arrested by the CCP. 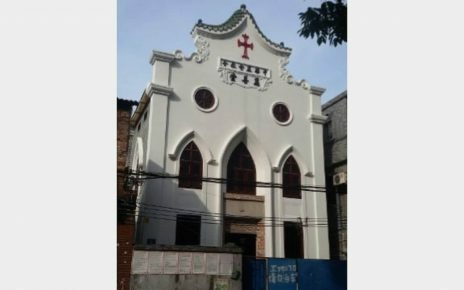 In late October, not long after Yang Hui and other church workers arrived at the meeting venue, seven police officers stormed in and took them to the local police station. Ever since she and the others were arrested, the elderly villagers have been placed under even tighter surveillance.